This is a continuation of my discussion on Hyperbaric Oxygen Therapy (HBOT). In my original article, I defined HBOT and listed its more common uses and benefits. However, this article will focus on the use of HBOT for the treatment of concussions. Symptoms can present immediately or be delayed by hours or even days after the injury. If you experience any of these symptoms after a head injury, you should seek immediate medical attention. A severe concussion may cause brain swelling and bleeding. If your doctor suspects this type of injury, a cranial computerized tomography (CT) or magnetic resonance imaging (MRI) scan may be utilized. In most concussion cases, the symptoms subside over a short period of time. However, not every case is simple. I have been successfully treating difficult cases with HBOT in conjunction with other homeopathic modalities. Patients who have given up hope have obtained relief where conventional medicine has been ineffective. Additionally, HBOT has no deleterious side effects, as is the case with many conventional drug therapies. 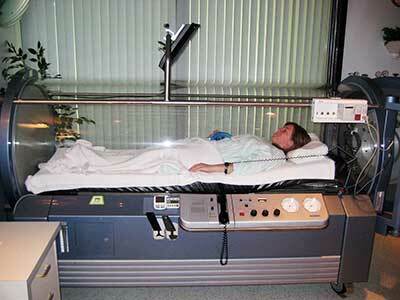 As expected, there are those in conventional medicine who are skeptical of HBOT’s effectiveness. However, Dr. Paul G. Harch of Louisiana is a physician who is bullish on the future of HBOT. Dr. Harch is working on a trial he hopes will provide evidence for the treatment. He too has successfully treated patients for concussions and many other disorders using HBOT.